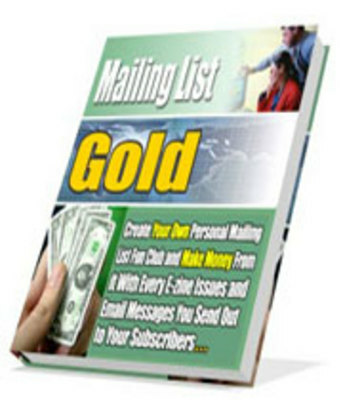 Discover How YOU Can Profit From Your Mailing List With Every Way Possible - From The Moment Your Subscriber Visits Your Lead Capture Page Until He Receives E-mails From You. If you have been in touch with the Internet Business and Marketing world for some time, I am sure that you have heard of the overused saying the money is in the list. How your subscribers will not only read your E-mail, but also chose to buy from you over other E-mails they receive from other E-zine publishers! The 3 E-zine formats you can use for your own. How you can gain an insight into your subscribers background, problems and needs without having to carry out a paid survey that burns a hole in your pocket unnecessarily! How to get content for your E-zine.